Among elements, water has some of the most unique properties known to man. When it is incorporated into a design, it can invoke feelings of serenity, cleanliness, and life. 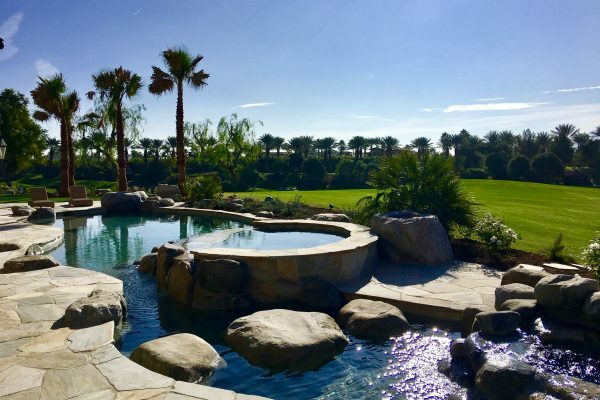 Are you looking for a pool contractor that can bring out all the feelings that you envision for your next pool construction? If so, you will love working with Azure Pools & Spas. We provide pool remodeling and pool constructions that accentuate water features and the client’s ideals. Upon investigating our portfolio, you’ll see that we love immersing ourselves in our work. 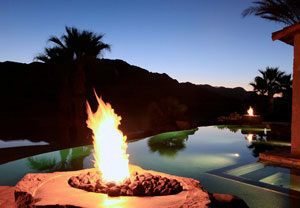 For over 25 years, Azure Pools & Spas has created customized pools in Bermuda Dunes and throughout southern California. We never follow cookie cutter techniques when during pool construction. Every Azure Pool & Spas design is custom fitted to the desire and constraints of the property. We always balance the functionality of the pool with its aesthetic features. Our design team staunchly believes in remaining open to construction methods and building strategies. Therefore, we constantly investigate pool construction from all over the globe in effort to challenge ourselves to new designs. No matter what the scale of your pool is, we can sculpt a masterpiece that you will be proud to call “your pool”. An excellent pool design is the result of combining planning, time, and experience. At the start of any pool project, we get the necessary permits and approvals from city municipalities and homeowner associations. Next, we perform a detailed layout and excavation. During this procedure, we’ll take detail measurements and mark off the grounds of the project to ensure feasibility. After planning, we set the rebar; install plumbing/electrical connections, spray gunite, install decking and a number of detailed processes that rounds out the custom pool. Azure Pools & Spas is a fully licensed and insured custom pool designer.